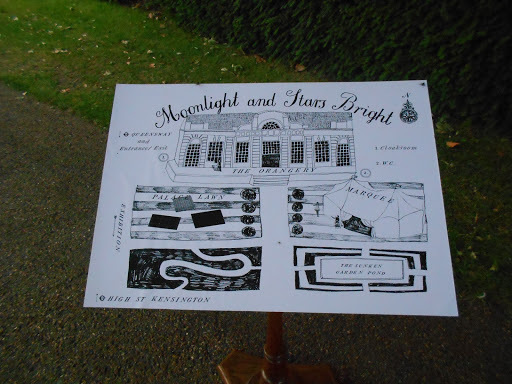 Last friday I was just a little bit lucky and got invited along to a wonderful soiree at Kensington palace. 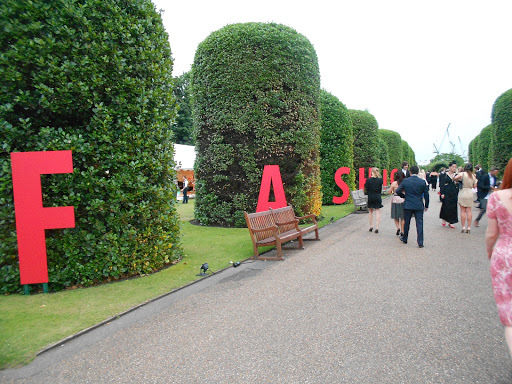 The event was a 1950s inspired ball set in the beautiful grounds of Kensington palace with a chance to view the new exhibition “Fashion Rules” too. 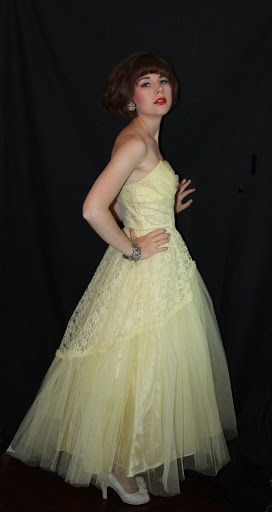 For the evening I decided to go dressed up appropriately. 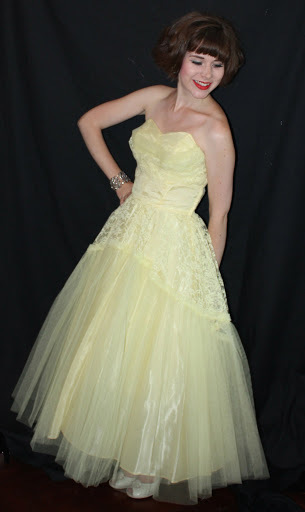 I wore an original 1950s primrose yellow net ballgown. 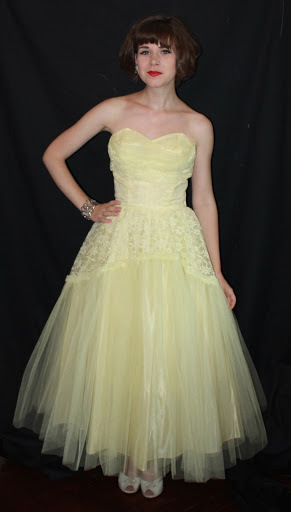 This little number came to me via ebay, it actually cost me so little i feel I can’t reveal how much I spent on it. 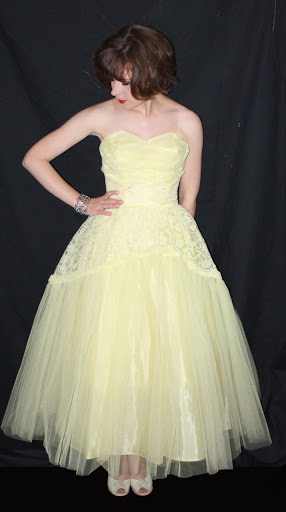 I wore the dress with some 1950s white court shoes (my feet were hideously swollen from the heat on the day, otherwise I would have worn an amazing pair of silver shoes I own). 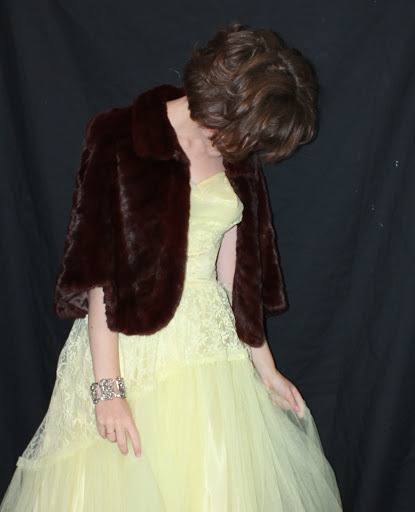 I also took along a 1930s clutch bag and 1930s fur cape. Although I have to admit I didn’t wear the cape, not even on the night bus home it was just too hot! 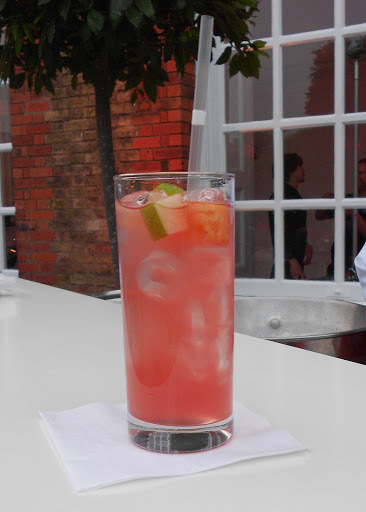 I didn’t actually take many pictures on the night, despite having borrowed a compact camera from my Dad. Although I did manage to take a few snaps in the exhibition. 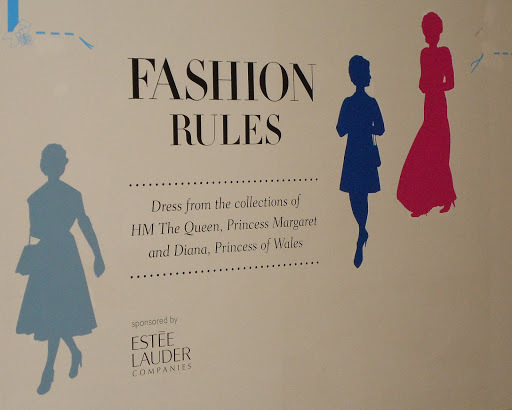 Fashion rules was simply delightful, a small but perfectly formed exhibition I would say. 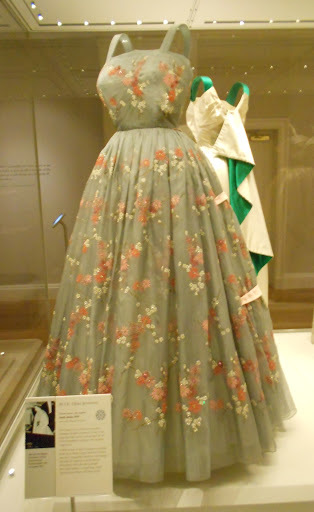 I would have loved to have seen more dresses, particularly those from the wardrobe of Princess Margaret who i think has to have been one of the most stylish royals (In my opinion more so than Diana Princess of Wales, but that’s just my two pennies worth!). 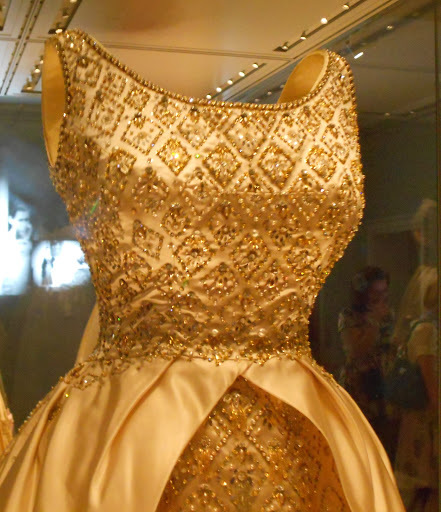 Although I have to say that the dresses worn by the Queen in the 50s were quite frankly amazing, and exactly the sort of garments I would like to wear! In the past week I have gone a bit exhibition mad. Seemingly on a mission to see as many exhibitions as I possibly could in one week. So… This means of course that I can write reviews of the lovely things I saw. 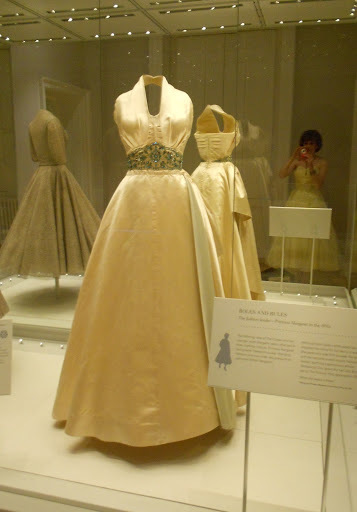 First off was the Queen Victoria revealed exhibition at Kensington Palace. 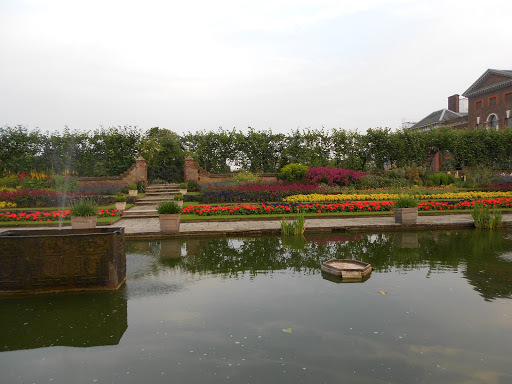 I can’t quite believe that I had never been to Kensington palace before, but I have to say it is a really beautiful place to go and the gardens were very relaxing too (especially on a beautiful day like monday was!). So the exhibition itself. I will say that it is a hefty price for entry (I think it is about £14 for a tickets to the palace…although if like me you have national art fund membership you get in free). 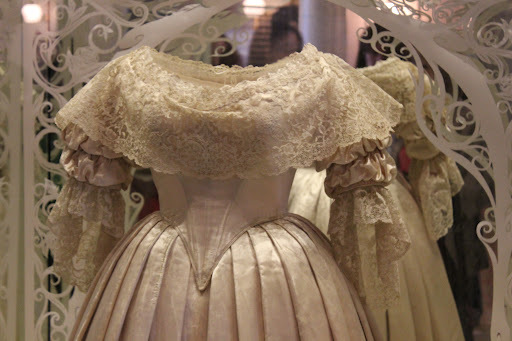 The exhibition has some truly amazing pieces in it including (excitingly for me) the dress worn to Queen Vics first privvy council, her wedding dress and also one of her riding habbits. 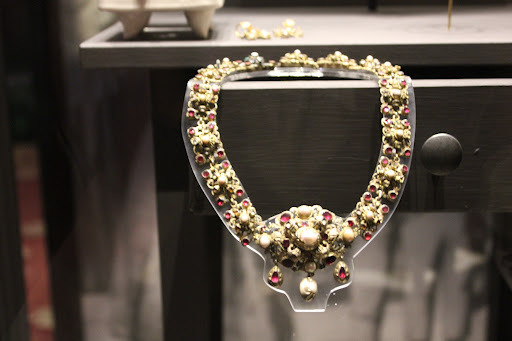 All of the pieces were beautifully displayed. 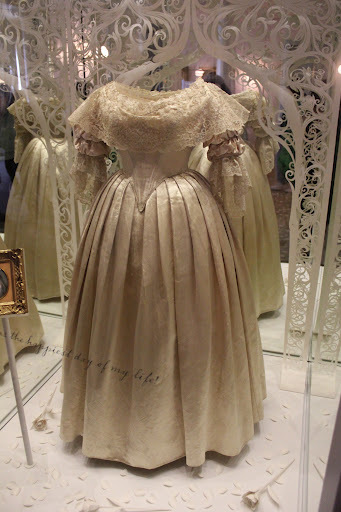 I liked the way that the cases all had little quotations from Victoria on them which added to the feel that this was an exhibition to really “reveal” more about her. Although, I have to say I left the exhibition feeling a little underwhelmed. Whilst what was on display was undoubtedly beautiful i just felt like the display didn’t feel sequential. 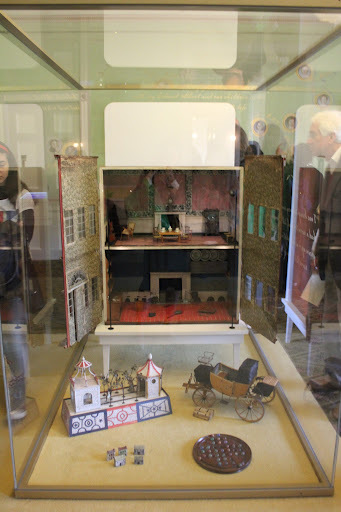 It was quite disjointed with the aim to seemingly show off certain objects without telling a story throughout. 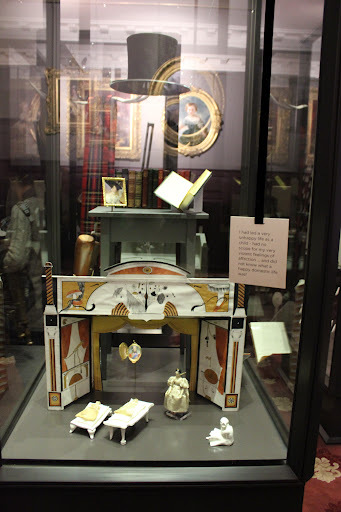 I also didn’t like the fact that rather than have what I would call “theme boards” for each room and proper captions for the objects there were pieces of paper dotted around for you to read instead, and with it being very busy it was almost impossible to get a good enough look at these. Overall I found the exhibition enjoyable but think I would have been dissapointed if I had paid the £14 entry. 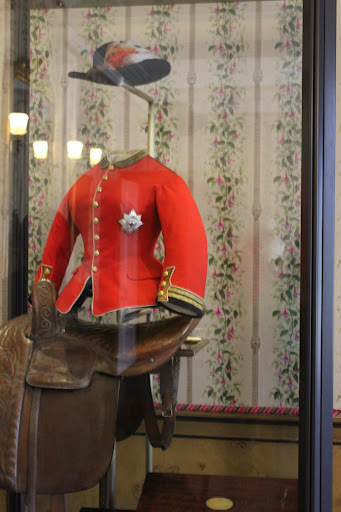 I knew quite a bit about Queen Victoria before I went but I do feel that you need a background knowledge on her to really enable you to enjoy the exhibition!